The VR industry has seen explosive growth over the past couple of years, with companies like Oculus and Valve consumer VR headsets in 2016. While there a number of companies are tackling the VR hardware problem, there simply isn't enough content to support all of these devices. 360 video is an efficient and effective way to create content for VR, and we're seeing a new medium for storytelling emerge before our eyes. Join our panel of VR storytelling pioneers as we discuss the advantages, challenges, tradeoffs and techniques of working in this new medium. Hear from our successes and failures so that you may leave inspired to succeed in this new medium. I’m a software product guy. I lead the Product Management team for VR software at Google. I grew up in Moscow, founded a mobile content company, decided to leave Russia, sold the company, packed up and moved to Prague. Then Dublin. Then London. Then San Francisco. I joined Google in 2007 and led the YouTube Mobile team. We created YouTube apps for iOS and Android and watched our product grow from zero to over a billion users, enabling everyone with the phone to watch and share video. 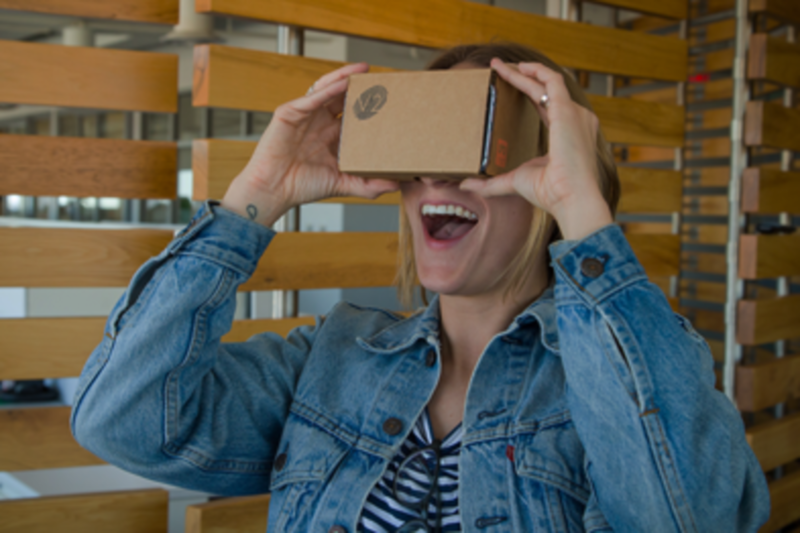 In 2014 I helped building a little side project called Google Cardboard and ended up co-founding Google's VR team. Austin Mace is CEO & founder of SubVRsive, an Austin TX based startup specializing in telling stories in virtual reality. Austin has pioneered new ways of telling stories in VR, creating the worlds first Raspberry Pi powered 360 camera. Before working in virtual reality, Austin worked as a content producer in traditional video. Chief Storyteller & Founder, StoryUP VR. Former interactive news anchor at KOMU-TV with more than 20 years in broadcasting. StoryUP is a VR Journalism startup supported by a separate brand studio that creates immersive video products for a variety of companies. Our immersive narratives focus on people with disabilities, Veterans, technology and health stories. StoryUP also runs a VR program "Honor Everywhere" for terminally ill and aging individuals not able to physically travel. See our stories at story-up.com including our VR short from Zambia: "Gift of Mobility" and "She Went Away", an immersive experience about stroke.